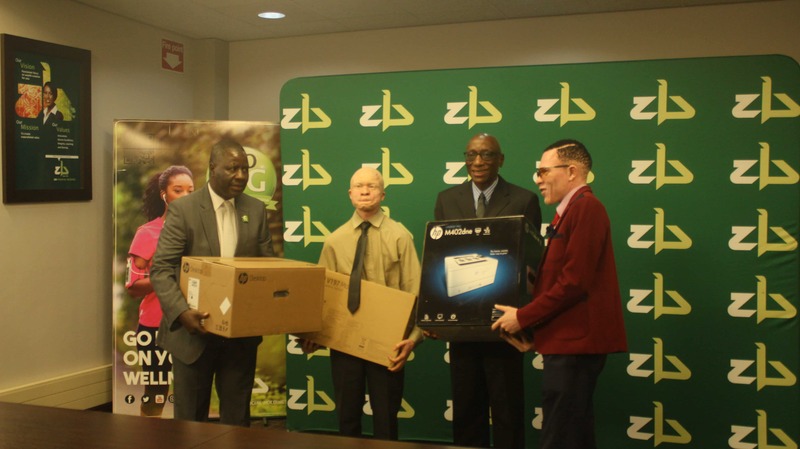 ZB Financial Holdings has today made a donation of laptops, desktops and printers to St Giles Medical Institution and Albino Trust as part of the company’s corporate social responsibility. “Our social responsibility approach is aligned to global trends and focuses on playing our part in building a strong Zimbabwean economy, helping communities thrive through wellness, promoting health, education, arts and culture as well as environmental sustainability,” he added. The two organisations who received donations are involved in advocating for the rights of persons with albinism in Zimbabwe and under privileged girls and young women respectively. St Giles received a desktop and a laptop while Albino Trust got a desktop and printer. In addition, Tariro Library received US$1000 towards stocking the library and sanitary needs for the girls. “We are also launching a ‘bring a book and build a future’ campaign, wherein we will ask all the stake holders to donate good used books or new books to our different branches towards stocking the Tariro library,” added Mutandagayi. Meanwhile, ZB has made similar donations to various charitable organisations throughout the country and other needy areas in line with the bank’s Corporate Social Responsibility policy.